just never stays at the right level. Sound familiar? If so, you need to see what JE Dunn has done! 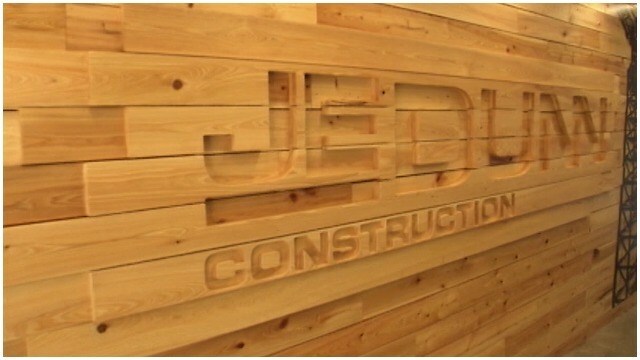 JE Dunn is a 90-year-old commercial construction company, which has been in Atlanta for roughly 25 years. Recently, the company moved into a new Atlanta office, and decided to radically redefine what “workspace” is all about. Now, executives say the office is 80% “open” and 20% closed — that means comfortable workstations, plenty of places to collaborate, and no more exclusive “corner offices.” The building was also designed with fun in mind, and comes complete with a slide (yes, a slide!) from the top to the bottom floor, and spots dedicated to pool, golf, and bocce! Good Day Atlanta’s Paul Milliken — no stranger to having fun in the workplace — had to check this office building out. So, he spent the morning exploring!